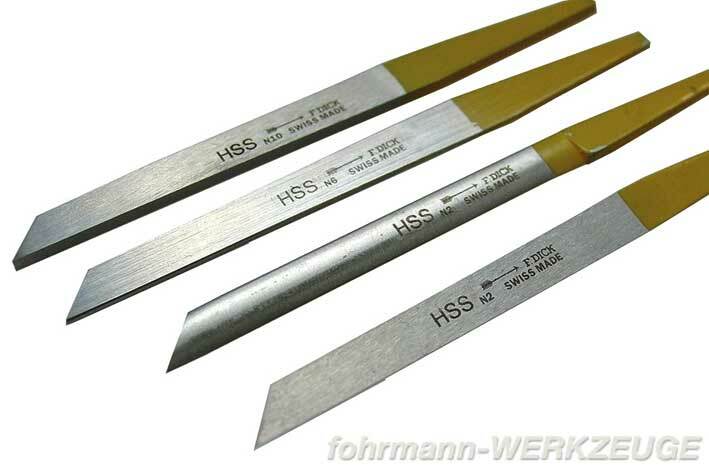 Flat Edge Gravers, thickness of edge 2 mm, length 100 mm. Round Edge Gravers, thickness of edge 1.2 mm, length 100 mm. Related links to "Gravers HSS"
Customer evaluation for "Gravers HSS"